Well, I know it's been a while, but I'm still here, still knitting away. I've been inspired by the May-June Designer's Challenge on Ravelry to make a Flower and Leaf Lace Shawl. 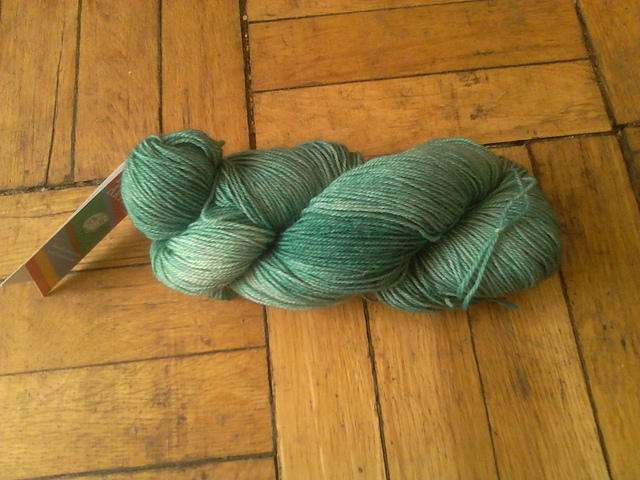 I've got an extra skein of Fleece Artist BFL Sock in my stash that should, hopefully, knit up wonderfully. The challenge is a) use a flower motif, and b) use short rows to make a shawl/shawlette. I've got a lace leaf motif that I love, and I found a tulip motif in one of my stitch libraries. There's also a lace leaf edging that I saw ages ago that I want to recreate, as well. I'm looking forward to this, and I'm not too worried about the June 30th deadline. If I do finish in time, great, if I don't, it's still a kick to get me working on designing the things that are running around in my head.